Experience TWO Unique Performances . . . During the Day & NIGHT!! The Beech 18 – Upside Down! 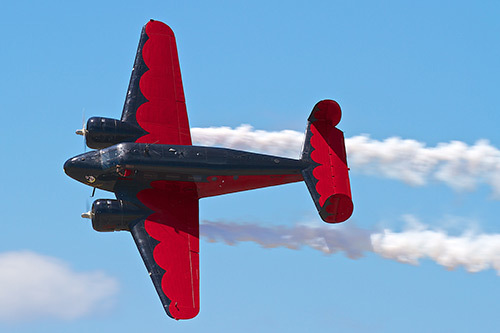 The award winning Matt Younkin and his Beech 18 are one of the most unusual acts on the airshow circuit! Why is it so unusual? Well, the vintage twin Beech was never designed for aerobatic flight, however, in Matt’s hands it executes a series of Cuban eights, point-rolls and even loops! You won’t want to miss the “Elephant Waltz” in which Matt rocks the wings of this huge transport more than 90 degrees with the landing gear and flaps extended! 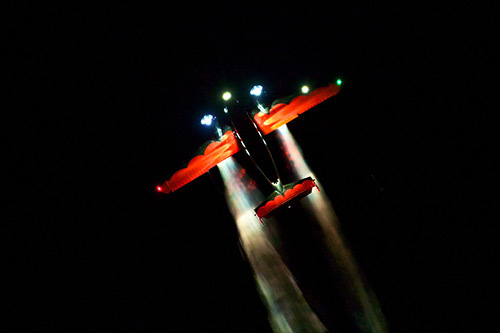 Matt Younkin continues to thrill audiences at NIGHT with ‘Magic by Moonlight’, the world’s only nighttime aerobatic performance in a Beech 18. Equipped with 17 spotlights and 13 strobes, the top of this huge transport airplane lights up the night sky. Smoke, noise, choreography, and an incredible musical score, captivates audiences in this one-of-a-kind performance! 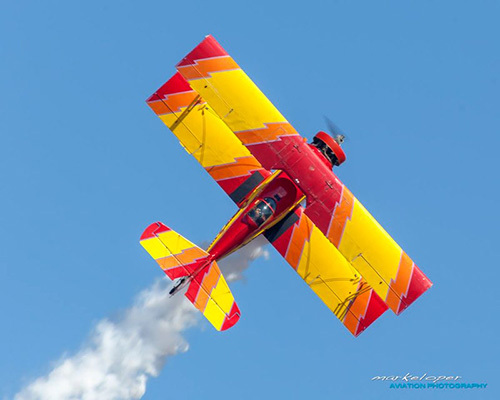 Also tearing up the sky at the 13th California Capital Airshow is the legendary Gene “Mr. Airshow” Soucy, in his ShowCat! Hear the roar of the monstrous Pratt & Whitney engine as Gene thrills with a combination of smoke, noise, and aerobatic elegance. Hold your breath as he recovers the airplane using his trademark one-wheel landing! An Airplane That Shoots Fireworks! “Mr. 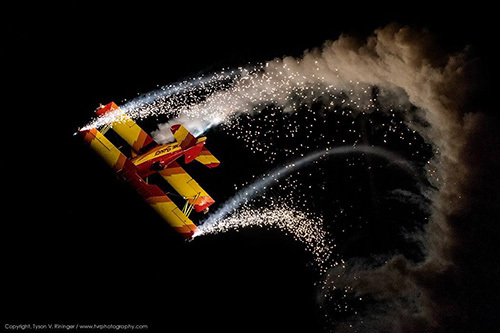 Airshow” will also amaze the crowd at NIGHT with fireworks mounted on ShowCat’s wingtips. This act will send chills down your spine as he flies a spell-binding performance set to music against the night sky. ‘Airshow After Dark’ is Back! What’s all this talk about NIGHT performances? 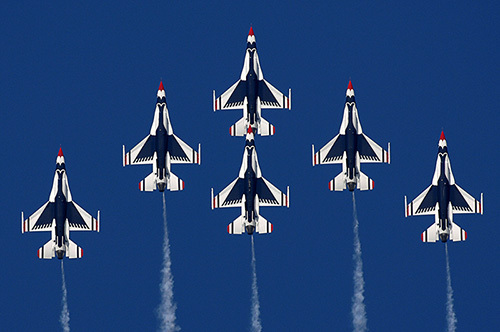 As the sun sets on Friday, September 21, the skies over Mather Airport will ignite with a feast for the senses as thrilling jets and aerobatic performers light up the sky with streaming flares, showers of colorful bursts from their wings and thundering pyrotechnics. This one-of-a-kind Airshow will conclude with a MASSIVE wall of fire and breathtaking fireworks display! More details and performers will be announced soon, so stay tuned!